Morgan is trapped and powerless. The seventh child of the seventh child has always been a girl. Until Morgan Vallentyn was born. Because he’s male he can’t access the magical powers that should have been his. In order to attain his destiny, he first has to escape his home and find the source of his power – in the most unexpected of places. Adriana would give up everything for her freedom. 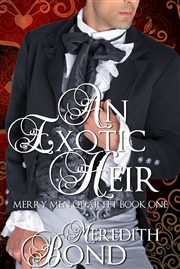 Born to paint the natural world with unprecedented passion and vision, Adriana Hayden is bound by the laws of Regency society to her scheming guardian. But after meeting the handsome and mysterious Morgan, her world begins to open to enchanted possibilities she never could have imagined. The only way to fulfill their destinies is for each to unlock the powers of the other – through the magic in the storm. 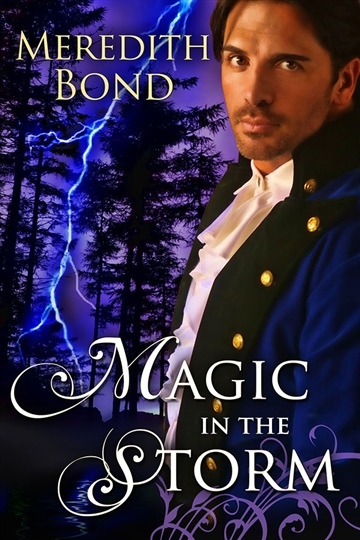 published Regency romances and indie-published paranormal romances. 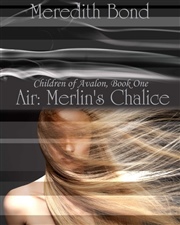 Known for her characters “who slip readily into one’s heart”, Meredith’s paranormal romances include Magic In The Storm, Storm on the Horizon, and the short story “In A Beginning”. 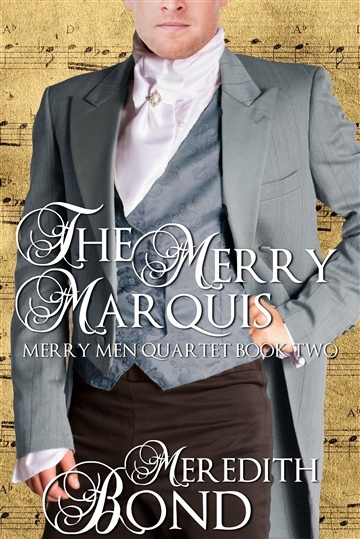 Her traditional Regencies include The Merry Men Quartet of which An Exotic Heir and A Dandy In Disguise have recently been republished. Meredith also teaches writing at her local community college. If you want a taste of her class in book form, Chapter One is available at your favorite e-retailer. Want to know more? Come visit Meredith at her website, http://www.meredithbond.com or chat with her on Facebook (http://www.facebook.com/meredithbondauthor) or Twitter (@merrybond). If you’d like to be one of the first to know of Meredith’s new releases, join her no-spamming email list here http://meredithbond.com/blog/mailing-list/.